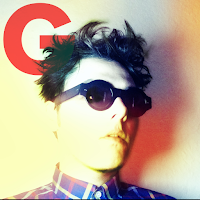 Gerard Way has announced that he has signed to Warner Bros Records as a solo artist. The former My Chemical Romance frontman's debut solo full-length, which is nearly complete, is expected to be released later this year. A statement from Gerard announcing the news can be found below. "I am beyond thrilled to finally have a place to share everything I make. I imagine you’ll see/hear everything from blog posts to images, art, drawings, music, big projects and small projects, looks into things, under things, behind things, and in front of them. This will also be the place to come for news on anything related to my ride into the next part of my life. I’d rather just start moving so I’d like to say thank you for stopping by, check me out on twitter @gerardway and please follow my friend, traveling companion, and news-broadcaster Lola on twitter, @lolaplusg for updates and info.